Present your creation like a true connoisseur. You really only need three, maybe four, types of cheese. Obviously aim for variety, but make sure you also strike a balance. That is to say, don’t boldly choose multiple exotic types of cheeses (which can be fun in moderation). Rein it in. 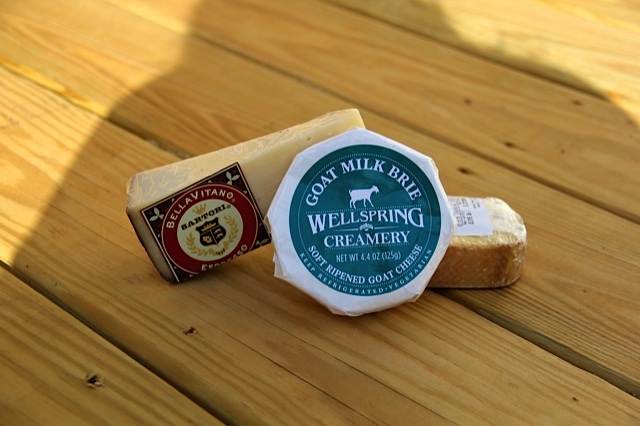 Pictured above is a pasteurized milk cheese with some unique hints of espresso, a goat milk brie, and a basic soft cow’s milk cheese. A basic wheat cracker is perfect to start with, but feel free to chose a couple more unique options. For example, a parmesan garlic variety as well as a roasted gorgonzola cracker would work perfectly with the goat milk brie and cow’s milk. 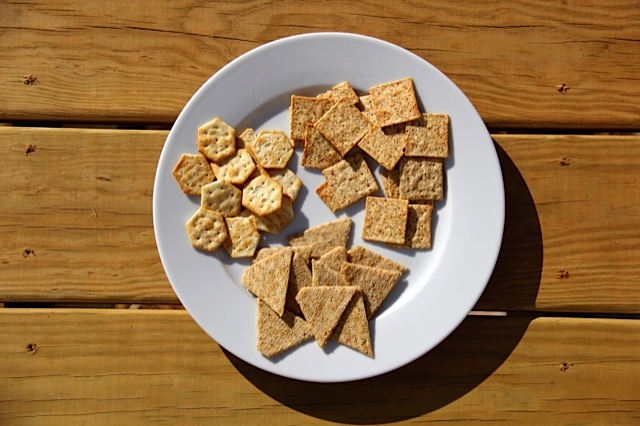 Thinner crackers are the way to go in order to optimize the cheese-to-cracker ratio. A little fruit on the side is always a great addition to a cheese spread. 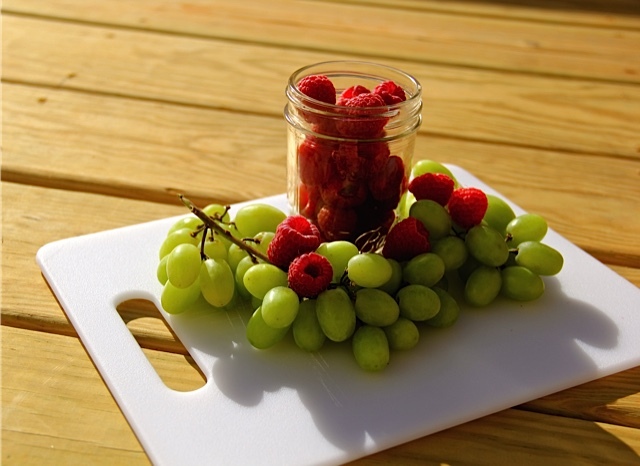 Grapes or raspberries make for a nice change of pace while you’re working your way through the plate. Alternating between savory and sweet is always quite delicious. 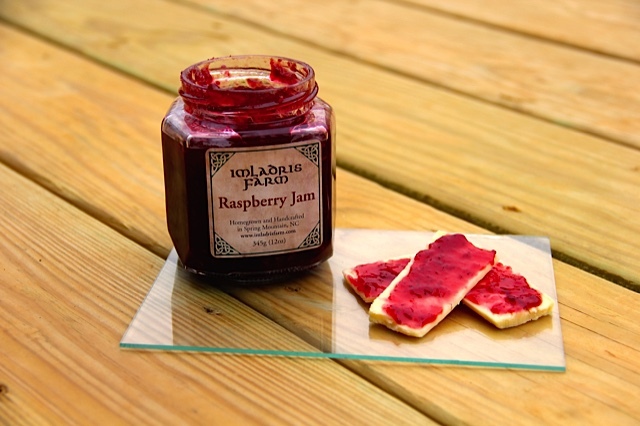 The absolute best thing to eat with cheese is raspberry jam, which I usually pair with harder white cheeses. Pick whatever type of jam or preserves you like—just try not to smother it on some strong or intense flavor of cheese. Lastly, it’s always fun (and sophisticated) to include some small vegetable garnish on the side. 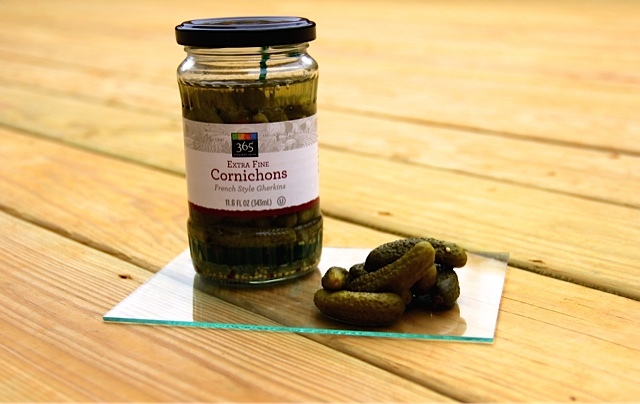 Cornichons are always a good choice, which are basically little baby pickles, to add a variety of taste and texture. Once you’ve gathered all your ingredients, check out the web for some presentation inspiration. Important: When picking out all of your cheeses, crackers, and spreads, stop and think to make sure that all of your components will compliment each other. Otherwise you’ll just end up with a mess of random and incompatible flavors. And feel free to pair your cheeses with some fine wine, if you’re into that.